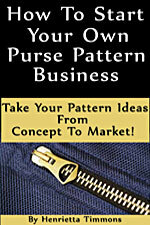 Around The Bobbin : Wholesale Purse Patterns, Purse Patterns at wholesale prices for quilting shops, craft stores, and fabric shops. 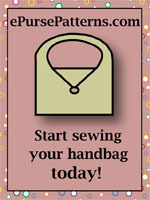 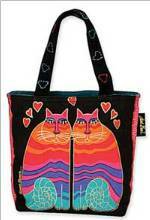 Bag patterns with lots of illustrations and instructions by Lisa Amundson. 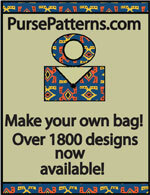 Designs include a cross body bag (Cappuccino Bag pattern), a hobo bag (Annalise Bag pattern), a tulip shaped bag with a purchased handle (Sassy Swing Bag), and a Santa Bag pattern.